He might just be the misunderstood pianist in the history of jazz, he might also be the most brilliant. He created a jazz world entirely of his own making. It was original, strange, illogical, it was for some people not jazz at all; it was for others, ground breaking, it was single-minded – it was Thelonious Monk. Thelonious Monk was born October 10, 1917 in Rocky Mount, North Carolina, but moved at age four, with his family, to New York City. Monk’s father was musical, it is likely that this is where Monk got his early interest in the subject, but he was also an athlete in school; he began by studying piano when he was ten years old. Like many other pianists of his generation and background, he played organ in Church, but at the other end of the musical and spiritual spectrum he became a pianist for a traveling faith healer; later he played piano at house rent parties. These affairs were very common in the Twenties and Thirties when people got together to ‘pass the hat’ to help pay the rent and to give a share to the musician(s). Without theses gatherings that originated in Harlem and spread through the Black communities, especially in the South, the development of both Jazz and the Blues could have been very different. His first professional work was playing Minton’s Playhouse in Harlem, having been encouraged by pianist Bud Powell, who although he was Monk’s junior had began his professional career much earlier. There was a nod to Bud in the 1947 when Monk began recording under his own name and he cut, 'In Walked Bud'. Monk may well have recorded with the house band, but no one is quite certain. What everyone is sure about is the fact that this famous Harlem club played host to musicians that included Don Byas, Charlie Parker, Dizzy Gillespie, Mary Lou Williams, Max Roach and Roy Eldridge, they along with others were at the forefront of the emerging Be-Bop style of jazz. What is certain is that Monk entered the recording studio with the Coleman Hawkins Quartet in 1944 cutting a few titles. Some of the saxophonist’s fans complained about their hero’s eccentric pianist; what was also clear is that the veteran jazzman sensed the pianist's greatness. Monk had moved to the Spotlight Cub on 52nd Street and it was while he was here that he wrote ' ‘Round Midnight' with Cootie Williams that the trumpeter recorded. It was in 1947 that Monk made his first recordings with a sextet, which he did for the Blue Note label. Among the music was the self-titled, 'Thelonious'; these were the opening salvos of a five-year relationship with the label that produced some stunning records. Because Monk played jazz piano differently than any other pianist, certainly before or probably since, jazz fans were unsure what they were listening to. It produced some furious exchanges in the music press on both sides of the Atlantic; well it did in those sections of the press that tried to understand what was going on with jazz. Monk just ploughed his own furrow; his philosophy was simple, “play your own way. Don’t play what the public wants—you play what you want and let the public pick up what you are doing, even if it does take them fifteen, twenty years”. As the Fifties began Monk also played with Charlie Parker on a number of recordings. Among the standout tracks is the beautiful, 'My Melancholy Baby'. In 1951 an arrest for narcotics possession meant that he lost his cabaret card, a requirement for performing in New York Clubs, which made life difficult for a while and caused a loss in earnings. 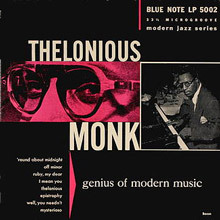 Throughout this period Monk experimented with new concepts of harmony and rhythm and by 1953 he had signed to Prestige Records, which some critics have decided was his least fruitful period. Nevertheless there were some amazing moments among his recordings. None more so than a session on Christmas eve 1954 when he recorded Bags’ Groove with the Miles Davis All Stars. This record became one of the cornerstones of the post Bop movement. In the same year he also appeared at the Olympia in Paris, which introduced him to a new group of jazz disciples across the Atlantic. Monk having been apointed as ‘the high priest of bebop,’ was never content to confine himself to one jazz genre, as his recoding with Miles proves. In his own recordings and in his compositions he was soon entering uncharted territory; some in the jazz fraternity were not pleased that either he or they were making the journey. 1955’s Gallop’s Gallop was for some just too way out there, as was his work with Art Blakey for others. Then just to get things back on track, and to at least return some of the doubters to the fold, he recorded three LPs of sheer brilliance. There was the aptly named, Brilliant Corners, Thelonious Himself and an album with tenor saxophonist John Coltrane. Some even claimed that these albums made him the most controversial figure in jazz, others, quite rightly, see them as pivotal moments in jazz piano or any other kind of jazz for that matter. It was during 1957 that Monk played a long-term gig at the Five Spot Café in New York City with Coltrane. 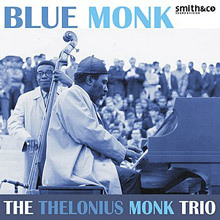 What was different about Monk was that he utilized the entire keyboard of the piano, every black note, every white note. He even used silence to create a kind of music that had never been heard before. Some have argued that it was his ability to have both the simple and the complex together in the same piece, others feel that it is his humour, while others are certain that it’s his chord construction that is what Monk’s music is all about. The truth is, it’s all of those things and more. It’s music that makes the audience think and it also makes the musicians that Monk played with think very hard when they work together. According to John Coltrane. “I learned new levels of alertness with Monk because if you didn’t keep aware all the time of what was going on, you’d suddenly feel as if you stepped into a hole with no bottom to it”. By the last years of the Fifties, Monk was enjoying one of the best periods in his career. He was touring extensively in America and Europe and he ended the decade with a concert at The Town Hall in New York with an orchestra playing arrangements of his compositions done by Hall Overton. The early sixties saw frequent touring, commercial and critical acclaim, a new recording contract with the more mainstream Columbia Records. His albums during this period included Monk’s Dream and Straight, No Chaser; he even had his photo on the cover of TIME magazine ­– one of only three jazz musicians to ever have achieved such status. By the 1970 and ‘71 he was touring worldwide, including a spell with the Giants of Jazz that included Dizzy Gillespie and Art Blakey. He recorded an album in London, which some critics hailed as yet another departure of the Monk – jazz explorer. However, before anything could become of this new venture Monk disappeared off the music scene and seemingly off the planet. He did make a couple of appearances at the Newport Jazz Festival in 1975 and ’76, but other than that there was silence. During this time he lived in New Jersey with his friend and his patron, Baroness Pannonica de Koenigswarter. Many conflicting stories have been put forward as to why Monk was absent. They range from drug theories, both his own use of them and the inadvertent taking of LSD; others talk of brain damage, most people agreed there were mental health issues. The fact is that he didn’t play in public, and those who appear to be in the know think he didn’t play in private either, after his 1976 Newport appearance, until he died in February 1982 from a stroke. Whatever the theories, the circumstances or the truth, the one truth is that the world lost a great and gifted musician – a true jazz visionary. But he has left behind a body of work that offers a jazz landscape more diverse and more challenging than most of his contemporaries. Sure there are other jazz artists who played it obscure, but none of them played it half as well or half as interestingly as Thelonious Monk. The world is catching up with Monk. In 1993 he won a posthumous Grammy and in 2002 a Pulitzer Prize special citation. He’s no doubt up there, doing it straight. . .no chaser. Although Brilliant Corners is Thelonious Monk's third disc for Riverside, it's the first on the label to weigh in with such heavy original material. 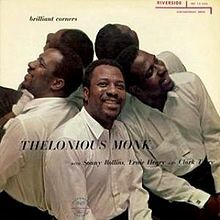 Enthusiasts who become jaded to the idiosyncratic nature of Monk's playing or his practically arithmetical chord progressions should occasionally revisit Brilliant Corners. There is an inescapable freshness and vitality saturated into every measure of every song. The passage of time makes it all the more difficult to imagine any other musicians bearing the capacity to support Monk with such ironic precision. The assembled quartet for the lion's share of the sessions included Max Roach (percussion), Sonny Rollins (tenor sax), Oscar Pettiford (bass), and Ernie Henry (alto sax). Although a compromise, the selection of Miles Davis' bassist, Paul Chambers, and Clark Terry (trumpet) on "Bemsha Swing" reveals what might be considered an accident of ecstasy, as they provide a timeless balance between support and being able to further the cause musically. Likewise, Roach's timpani interjections supply an off-balanced sonic surrealism while progressing the rhythm in and out of the holes provided by Monk's jackrabbit leads. It's easy to write Monk's ferocity and Forrest Gump-esque ingenuity off as gimmick or quirkiness. What cannot be dismissed is Monk's ability to translate emotions into the language of music, as in the freedom and abandon he allows through Sonny Rollins' and Max Roach's mesmerizing solos in "Brilliant Corners." 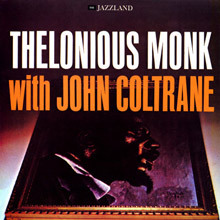 The childlike innocence evoked by Monk's incorporation of the celeste during the achingly beautiful ode "Pannonica" raises the emotional bar several degrees. Perhaps more pointed, however, is the impassioned "I Surrender, Dear" -- the only solo performance on the album. Brilliant Corners may well be considered the alpha and omega of post-World War II American jazz. No serious jazz collection should be without it. 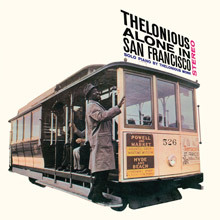 With the robust ambience of Fugazi Hall in San Francisco at his disposal, Thelonious Monk recorded ten unaccompanied tracks over two days to create a long-awaited sequel to his immensely endearing Thelonious Himself long-player. As had become somewhat customary for Monk, he brought with him a healthy sampling from his voluminous back catalog, cover tunes, as well as a few new compositions. What is most immediately striking about these recordings is the rich and accurate sound stage at Fugazi Hall. The overtones are rich and thoughtful in their ability to animate Monk's recreations of some of his most endearing works, such as the pair that opens this set. "Blue Monk" still retains the proud stride and walking blues heritage of previous renderings. Adding a bit of off-tempo improvisation, Monk propels and emphasizes the rhythmic swing even harder. He is obviously also enjoying what he is hearing. The audible maturity guiding Monk through the familiar, albeit offbeat, chord progressions of "Ruby, My Dear" is striking. His nimble reflexes and split-second timing render this version superior. Again, the sound of the hall offers even more to enjoy from this performance. It is unfortunate that the playful solitude of "Round Lights" was never revisited. This freeform composition is framed within a blues structure, yet reveals all of the slightly askew freedom of a Monk original. The recreation of an old 1920s hit, "There's Danger in Your Eyes, Cherie," is another of the highlights from Thelonious Alone in San Francisco that was never recorded again by Monk. The noir qualities are immeasurably enhanced by Monk's oblique phrasings as well as the eerie resonance of the Fugazi. This is an absolute must-own recording -- Monk enthusiast or not. Early trio material by legendary pianist Thelonious Monk, some of which has been reissued on CD with sessions from what became the second volume. Monk was heading a trio at the time with bassist Percy Heath and drummer Max Roach, and his playing was provocative, steadily evolving, and intense. This was a prime period in his career, and these sessions are essential. This disc contains an all-star cast headed up by Thelonious Monk (piano) and includes some collaborative efforts with Sonny Rollins (tenor sax) that go beyond simply inspired and into a realm of musical telepathy. The five tunes included on Work are derived from three separate sessions held between November of 1953 and September of the following year. As is often the case, this likewise means that there are three distinct groups of musicians featured. 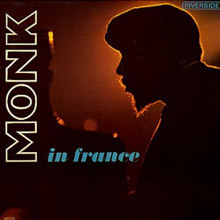 Whether by design or happenstance, the tracks compiled for this EP present Monk in the favorable confines and settings of smaller combos, ranging from the intimacy of the Percy Heath (bass) and Art Blakey (drums) trio on "Nutty" as well as the equally grooving title track. Both utilize Monk's uncanny and distinct sense of melody and are conspicuous for Blakey's rollicking percussive contributions -- which, at times, become thrust between Monk's disjointed chord work. The larger quartet and quintet settings are equally as inventive, retaining the highly inventive atmosphere. However, the undeniable highlight is the interaction between Monk and Rollins. Leading off the disc is a definitive and freewheeling reading of the pop standard "The Way You Look Tonight." Equally as scintillating is "I Want to Be Happy," both of which are also highlighted by Art Taylor (drums) and Tommy Potter (bass). They provide a supple and unencumbered framework for the soloists to weave their inimitable and often contrasting contributions. The final track is the beautifully dissonant and extended "Friday the Thirteenth," which is ironically the first fortuitous collaboration between the two co-leads. 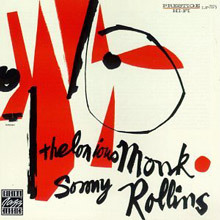 Rollins is able to entwine a sinuous lead throughout Monk's contrasting chord counterpoint. 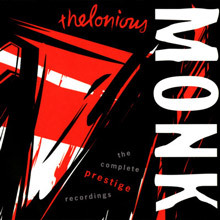 Enthusiasts seeking additional tracks from these and the remainder of Monk's sessions during his brief residency with Prestige should consider the suitably titled four-CD Complete Prestige Recordings compilation. Pianist/composer Thelonious Monk's final Riverside recording before signing with Columbia (reissued on CD under the OJC imprint) was cut during a concert in Italy, part of an extensive European tour that also resulted in recordings from Paris three days earlier. All eight of the songs (which include "Straight, No Chaser," "Bemsha Swing," and "Rhythm-A-Ning") had been recorded in more definitive fashion earlier, but Monk and his tenor, Charlie Rouse, sound fine. This is not one of Thelonious Monk's more significant dates, but his fans will still find moments to enjoy. 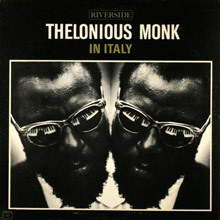 In 1961, Thelonious Monk and his quartet toured Europe, producing a series of live albums for various labels. The First European Concert, as well as recordings of Monk in Paris, Italy, Bern, Copenhagen, and Stockholm all date from that year. The performances drew almost exclusively from a body of the pianist's best-loved original material, and Monk in France is no exception. While his playing here is less energized than it can be, Monk's singular philosophy is well intact. The pianist's lines are sparse and fluid. Characteristically, he maps out only the necessary notes in his off-kilter melodies, building solos from perfectly balanced melodic/rhythmic motifs. The European touring lineup is completed by drummer Frankie Dunlop, bassist John Ore, and tenor saxophonist Charlie Rouse. Rouse had joined Monk two years earlier, replacing Johnny Griffin on 1959's Evidence. He has a vibrant tone and fluid rhythmic sense best heard here on "I Mean You." Monk's responding solo seems slightly reserved, the fire and weight of his attack largely absent. The remaining two-thirds of the rhythm section, while accomplished, do little to drive him in that direction. Performing solo, Monk's reading of the standards "Body and Soul" and "Just a Gigolo" are two highlights. The former features the sort of ornate playing uncharacteristic of the date. Monk spins off dense lines that take many listens to untangle. The latter is given a brief rendition tinged with ringing dissonance. The 1960s would see Monk signing to Columbia Records, where he would release another string of excellent recordings like Monk's Dream, Criss Cross, and Solo Monk. Monk in France represents a pleasant but unessential sidetrack in the pianist's output. 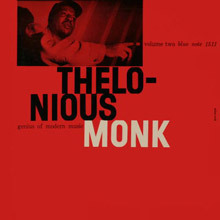 Thelonious Monk's Prestige recordings (reissued on three LP-length CDs) have been somewhat neglected through the years but, with the exception of a date for Vogue, they are the only documentation that exists of the unique pianist-composer's work as a leader during the latter half of 1952 through 1954. This set has four numbers (including Monk's originals "Wee See," "Locomotive" and the catchy "Hackensack") featuring Monk with trumpeter Ray Copeland (an underrated player), tenor saxophonist Frank Foster, bassist Curly Russell and drummer Art Blakey. However it is "Let's Call This" and the two versions of "Think of One" that are best-known, for Monk teams up with the French horn wizard Julius Watkins, bassist Percy Heath, drummer Willie Jones and the great tenor Sonny Rollins. Every Thelonious Monk recording is well worth getting although this one is not quite essential.